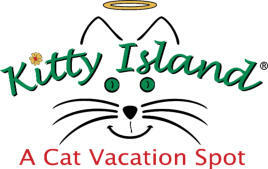 Kitty Island vacationers must be six months old, spayed/neutered, in your home for three months minimum, have a primary vet with proof of current vaccinations and flea control. *Reservations are required by phone or in person ONLY. *Deposit required holding reservations for first time islanders. *A 48 hour cancellation notice avoids a single day charge. *$50 refundable deposit with 5 day cancellation notice for major holidays. *All vacationers will check in and out in a cat carrier to insure their safety. *All carriers must be taken after drop off. 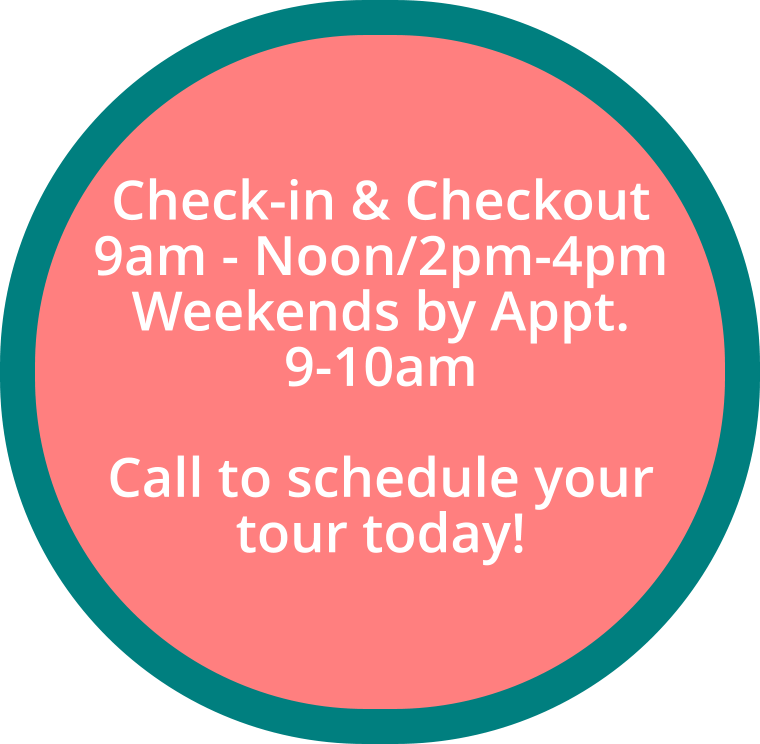 *Designated check in and check out times are established in consideration of all our feline vacationers *Saturday and Sunday check in and check out by appointment only. 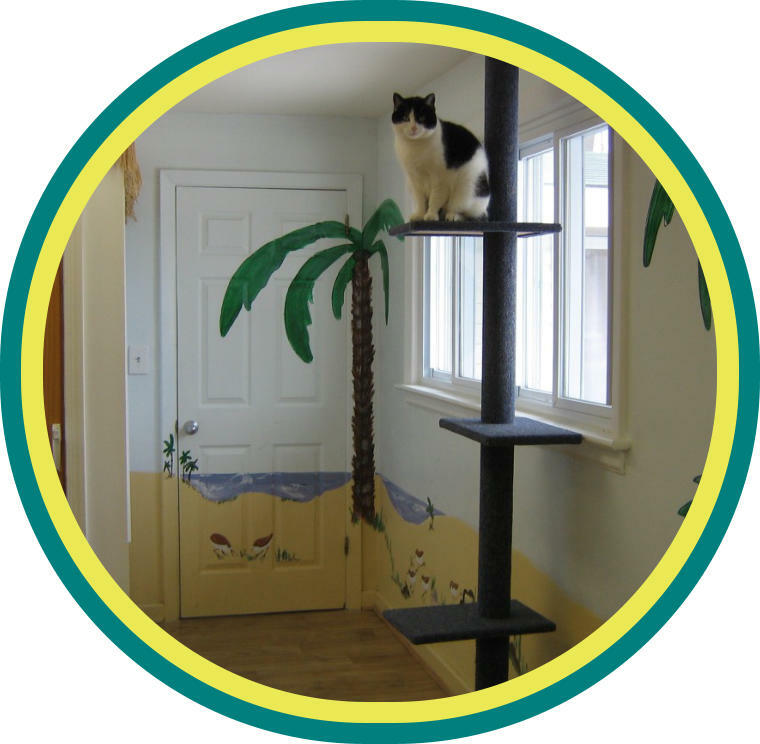 *Flea Control requirement: *All Cats visiting Kitty Island must have flea control protection. Flea control must be administered at least 24 hours before arrival. Absolutely NO EXCEPTIONS! 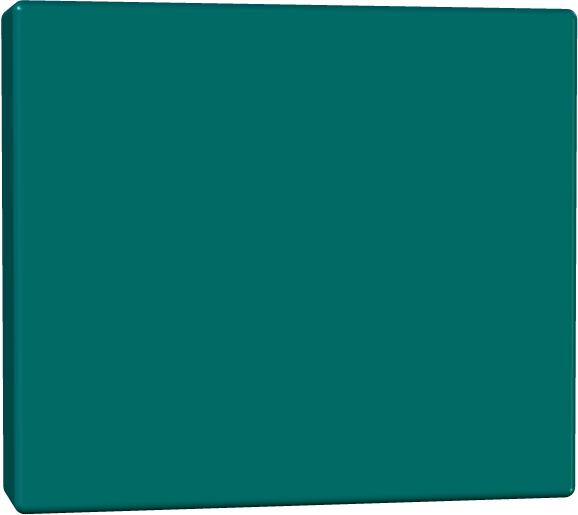 Topical products such as Advantage, Revolution or Seresto collars are acceptable control methods. This will insure that everyone comes and goes without fleas. If flea dirt or fleas are present, Capstar will be administered at $30.00 a dose. 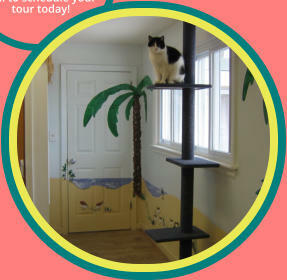 *Kitty Island wants all cats to enjoy their vacation. We appreciate your confidence in us, your cooperation, and your understanding to help keep Kitty Island a safe, healthy, and stress free environment for your feline family member.